MHA - Mickle Hill residential retirement village in Pickering, UK. Something for the weekend Sir? MHA, the UK’s leading charity providing housing, care and support for older people, are creating a state-of-the-art village style development at Mickle Hill. 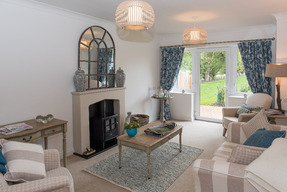 Mickle Hill is a luxury development offering a fresh approach to retirement living – a selection of beautifully designed homes set in landscaped grounds for people who are 60 or over. Mickle Hill is a vibrant community where you’re always made welcome, and has an enviable location in the pretty market town of Pickering, gateway to the stunning landscapes of the North York Moors. Life at Mickle Hill offers a wealth of amenities and there will always be plenty of people to share the day with, should you wish. You can be as relaxed or active as you like. At the heart of the village is the Pavilion which hosts a range of wonderful amenities. Visit the fully equipped gym to work out or relax in the spa jacuzzi. Pamper yourself in the hair and beauty salon, enjoy a walk in our beautifully landscaped gardens or take your friends to our café bistro for coffee and cake. The Pavilion is the place to socialise, make new friends, explore your creative side, or simply relax and unwind, and with ample car parking, lifts to all floors and wheelchair access, the Pavilion is well-equipped to welcome visitors and residents alike. Flexible support and care is available so you can stay independent. 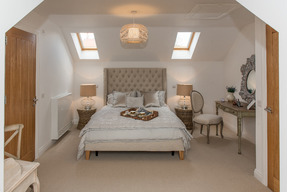 You’re spoilt for choice with the wide range of properties at Mickle Hill. Take your pick from two-bedroom dormer bungalows or one and two-bedroom apartments, created with your new lifestyle in mind.